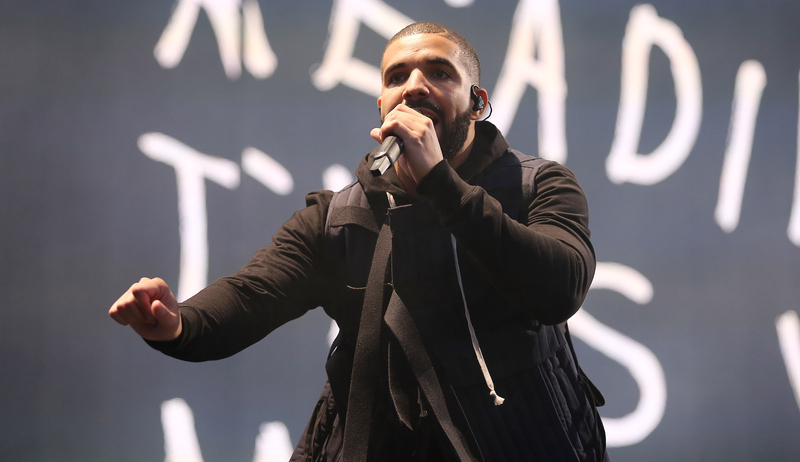 Drake has spent most of his Saturday Night Live hosting stint calling out and mocking several aspects of the past year: His starring role in many memes, his "Hotline Bling" music video, Rihanna, and even his infamous feud with rapper Meek Mill last summer. "Drake's Beef" parodies Drake's feud with Meek Mill, taking it to the SNL cast, and it's so hilarious. It's a sketch shows Drake's inner thoughts/diss tracks when he gets slighted by several members of the SNL cast, as well as exec producer Lorne Michaels. He also randomly reveals he's a fan of Angry Birds star Josh Gad. The sketch begins with SNL cast member Pete Davidson making fun of Drake for not knowing how to turn on a TV. On the outside, Drake seems to be find, but in his head, he's launching into a full-on feud rap, in which he says they used to be best friends, but not anymore. Drake also dishes the ultimate diss to Davidson: "You ain't Josh Gad." Ouch. Next, Leslie Jones doesn't say hi to Drake in the hallway and it inspires another rap. "Most people I know would've said, 'Hi' back," he rhymes. Drake also takes aim at a janitor lady who throws out his water bottle ("I had like 10 sips left / you so damn mean") and Aidy Bryant, who sits on a chair on which Drake's hat was resting. "Actually, I was [using that chair], you b*tch," Drake raps in his song about his lost hat. "If Josh Gad was here, he would've made me laugh." Who knew he loved Josh Gad so much? The last straw is when Michaels comes by to ask Drake how his week as been and Michaels merely states that Drake is doing a "good job." The rapper launches into an internal rap on the top of 30 Rock about how he's actually doing a great job and he lost his hat. You know who could probably make this better? Josh Gad. Your move, Gad. Cheer Drake up and make him laugh.